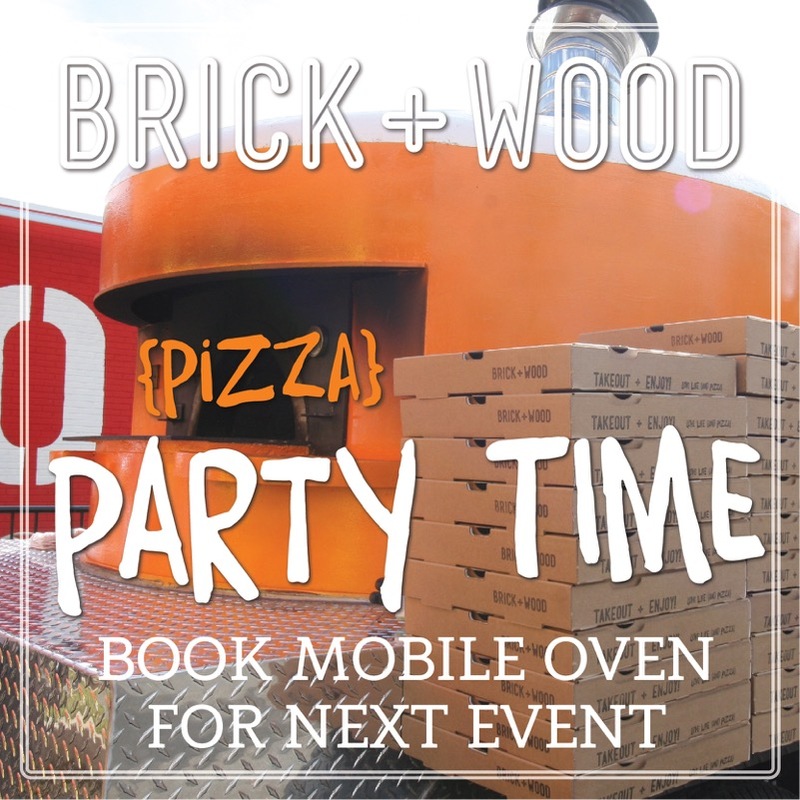 WITH BRICK + WOOD’S MOBILE TRUCK, BRING THE PIZZA PARTY TO YOU! 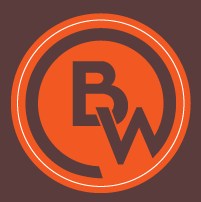 Inspired by the Italian street foods in Rome and the wood-fired pizza in Naples, Brick + Wood offers old school comfort food wrapped in a contemporary vibe. There are no shortcuts here. 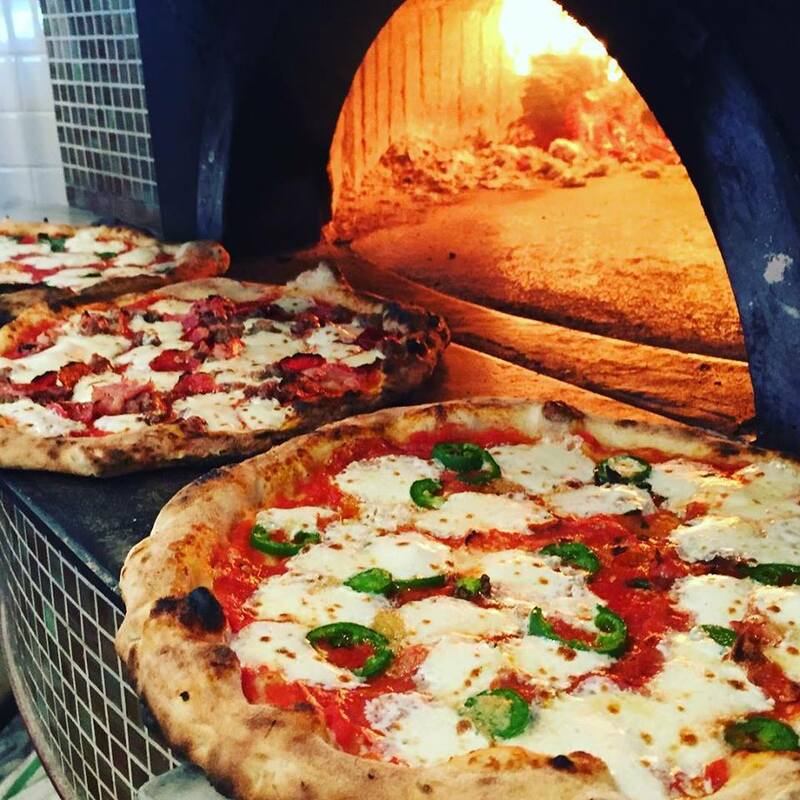 The from-scratch menu begins with a real Mozzarella Bar where hand-pulled mozzarella is prepared throughout the day. This wonderfully fresh and milky cheese is presented in a variety of flavorful incarnations, including mozzarella rollatini and burrata with truffle. Imported dried and cured meats such as capocollo, mortadella, prosciutto and salami are thinly sliced to order. The Italian street food menu, traditional finger foods that one might see people eating out of a paper cone while strolling the streets and piazzas of Italy, include; arancini, potato crocchette; filled panzerroti; toasted panini; and savory and sweet zepole. 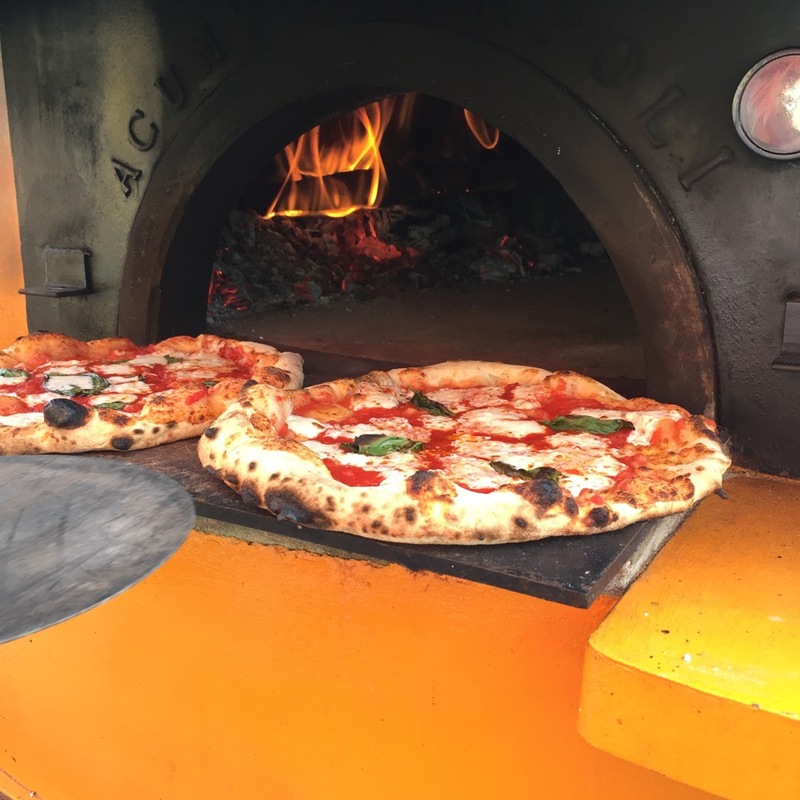 Brick + Wood’s “perfect pizza” is a labor of love and is certified by the Associazone Pizzaiuoli Napoletani (APN), an association formed in Naples by pizza makers to preserve the authentic Neapolitan pizza values. 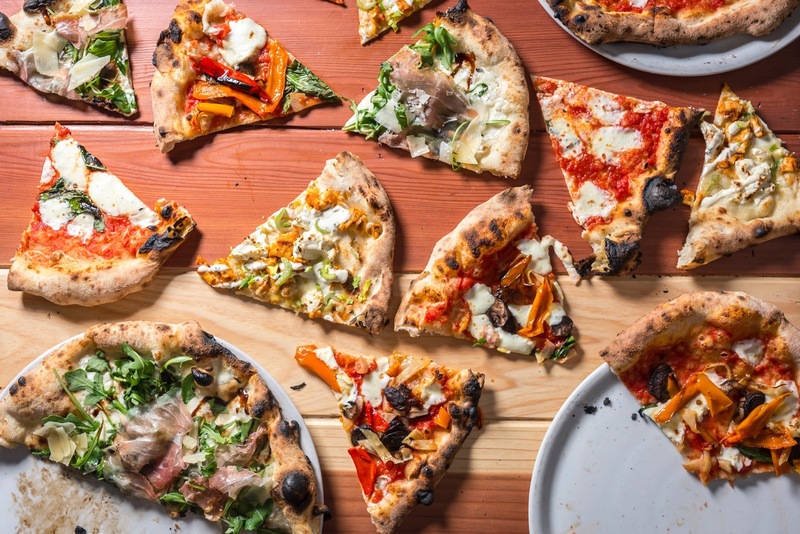 Supported by the Italian government, this rigorous certification process is required by any restaurant in Italy wishing to serve authentic Neapolitan pizza. 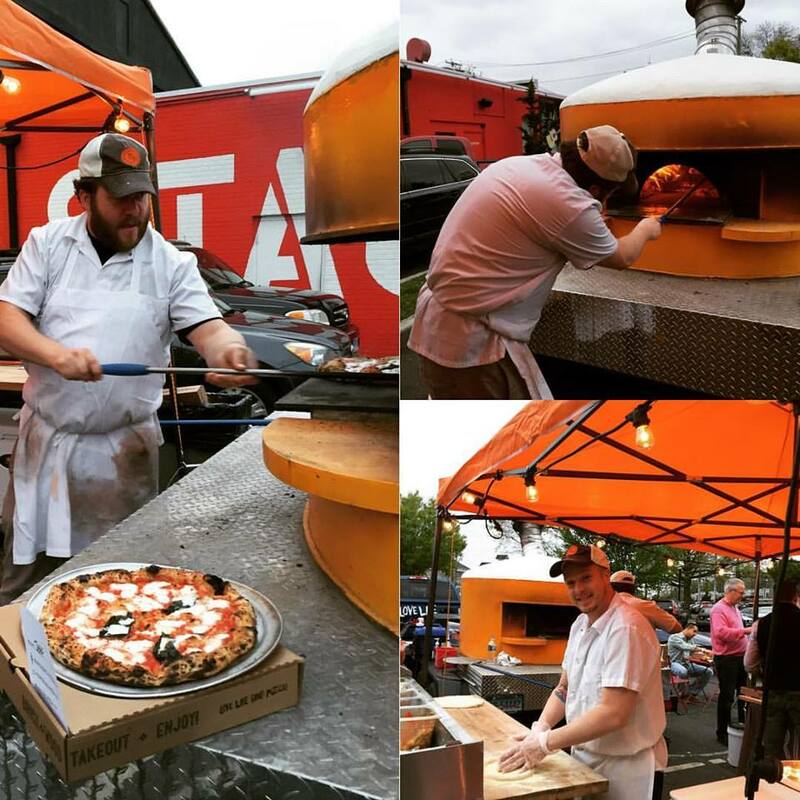 Only a handful of pizzaiolos in the United States have earned this distinction. 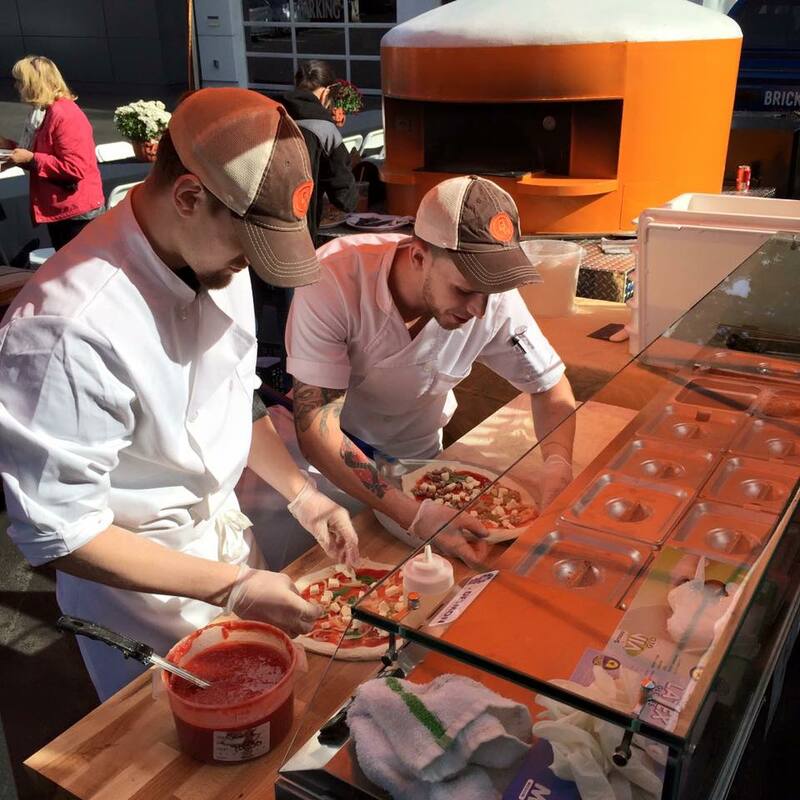 Brick + Wood pizza starts with fresh dough, handmade on the premises and leavened for 24-48 hours. The dough is hand toss, never rolled, to give it that thin delicate center. 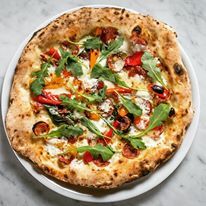 Using Italian imported San Marzano tomatoes, fresh basil and house made fior di latte mozzarella; the pizza is then cooked in a 900 degree wood-fired oven for about 90 seconds, which marks the pizza with flame blackened blisters along the crust and bottom while maintaining its soft and chewy texture. 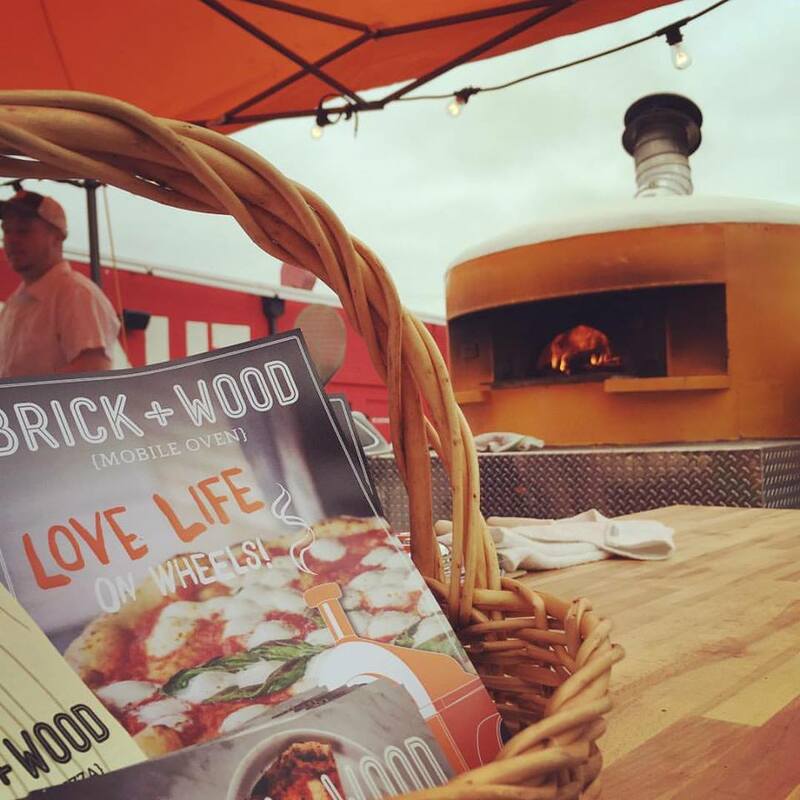 Brick + Wood offers an amazing, home-made, GMO-FREE gluten dough that’s made fresh daily – no more frozen cracker dough. 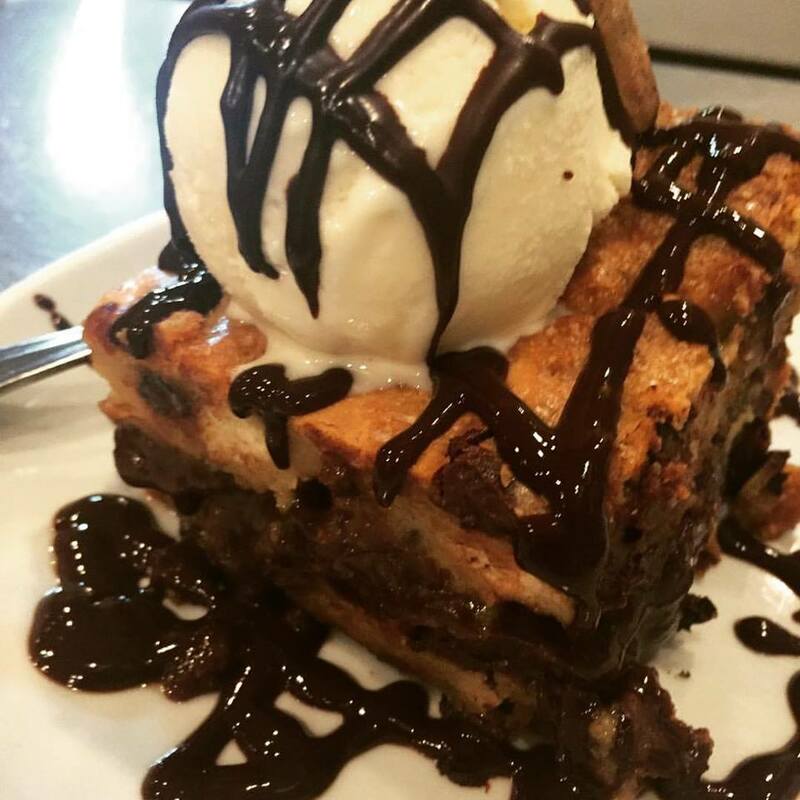 The flavor is amazing, too!